Knowing about cars is one thing, seeing them in the flesh is another. If you want to get as close to rare and extremely significant cars as possible, these ten places are the best. We should also note that, given how many times we've singled out the lovely Petersen Collection in LA, we left it off this list. But also go there if you have a chance. The work of one-time track owner, the late Tom Wheatcroft, the Donington Grand Prix Collection remains (as far as I know at least) the largest collection of Formula One cars in the world, including comprehensive collections of Williams and McLaren examples, including the underpowered car Ayrton Senna drove to victory in the 1993 European Grand Prix at Donington, one of his greatest ever drives. 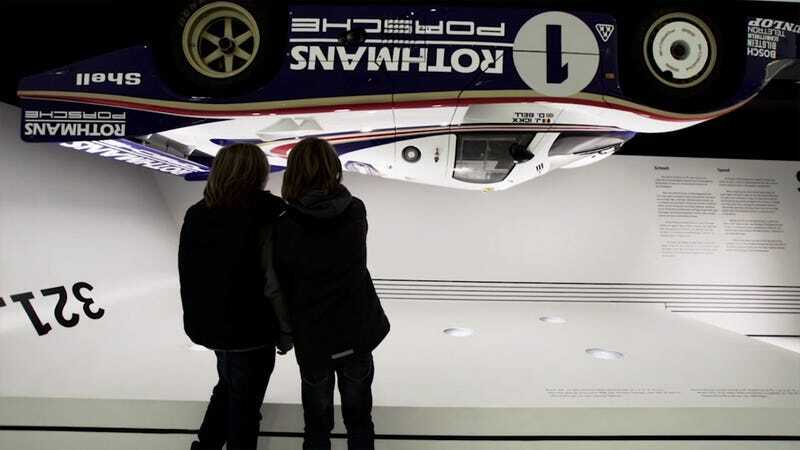 Unlike the brand itself, the Saab Museum got säved and should be visited by everyone to keep the spirit alive. In the meantime, take a virtual tour. I don't know if there's ever going to be a brand I miss more than this Swedish meatball. The Saab Car Museun in Trollhättan, Sweden. Because European and American race cars, plus much much more. The only problem with the Nissan Heritage Museum is that you can only visit it if you know someone like a certain Jason Torchinsky, but at least they also have a virtual tour available for the less privileged. Once in, it's like being in heaven. While it's worth a visit for its Tatra collection alone, the Lane Motor Museum also has something that could crush any Tatra, just in case. So many quirky cars. Tatras, Reliants, microcars, even a CanAm car, a Killer B, and an old Indy Car. This surprisingly new museum is the place to go to study what art deco is. Or rust. The history of Audi is a bit like the history of Europe: very colorful and full of surprises. The Audi Museum is a must see. Audi&apos;s Ingolstadt museum, because Auto Union and so much Quattro goodness. A constantly changing display of the fastest cars on the planet. Go there before or after the Audi Museum, it doesn't matter as long as you make it. The Porsche Museum in Stuttgart. Mercedes-Benz is pretty much ground zero when it comes to the automobile, so where else to start? This one of, if not the largest automotive museum in the world: 520 cars from 98 brands! They have the world's largest collection of Bugatti's (123) including not one but three of the 7 Royales ever built, as well as the first Veryon and various racers from the 30's. They also have a massive collection of racecars: endurance cars from the last 70 years, F1's, rally cars, etc, as well as a collection of "early" cars (1900-1920), and various other beauties.